Local 71 Members Vote & Early Voting Has Begun! OUR GOAL: 100% VOTER REGISTRATION & TURNOUT FOR ELIGIBLE MEMBERS. 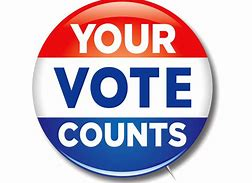 Voting for officials who support our issues benefits & supports our goals. Elected & Appointed Officials make regulations, laws, and ordinances which affect our our jobs, and for the Union to negotiate on behalf of our Members. * When we negotiate contracts for wages, benefits, and fair treatment on the job, these are the people on the other side of the table. * We all want to negotiate with people who support our issues. * First, we must elect them. * We are stronger together. * Your vote supports our ability to negotiate on your behalf. * Officials pay attention to who votes & how often they vote / your registration & action supports our efforts to negotiate on your behalf. Elected officials follow voting lists. These lists don’t show how you vote, but they do show how often. * The fact is: The more we vote, the more We matter to them. * Someone who really matters to elected officials. * Someone who votes in every election from Local (Assemblies, Councils, & School Boards), to State (House, Senate, Governor, Judges, Ballot Initiatives), to U.S. President. * A “Known Voter” who can un-elect someone if they don’t listen to them! Believe it or not, elections are decided by very small margins, especially in Alaska. Our membership is large enough to make a difference, when we all stand together. One vote can make all the difference! 1978 – Jay Hammond beat Walter Hickle for governor in the Primary by just 98 votes statewide. 1982 – TWO Votes nominated David McCracken for State Senate District J in the Primary. 1984 – ONE Vote nominated Mary Ratcliff for State Representative of House District 12 in the Primary. 1986 – 17 Votes (less than one vote per precinct) elected Rick Uehling Senator from District H, Seat B, out of 14,389. 1996 – ONE Vote gave Ann Spohnholz the nomination for House District 21 State Representative in the Primary. 1998 – A TIE was broken by a flip of the coin to elect Wayne Morgan after a runoff for a school board Kuspuk School District. 2008 – FOUR votes carried Representative Mike Kelly back to the State House in District 7 against Karl Kassel. THE NEXT ELECTION MAY BE IN YOUR HANDS!